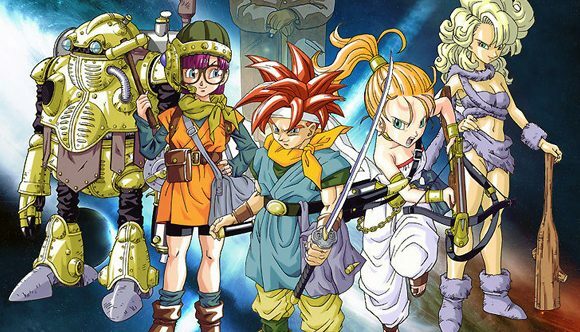 Chrono Trigger, one of the most beloved JRPGs of all time, received a surprise Steam release in February this year – which ordinarily would’ve been cause for much rejoicing, except it was a horrible mobile port with blurry graphics and a giant UI that was made for a touchscreen. All credit to Square Enix though, since Chrono Trigger’s Steam release and the outcry from PC gamers, the publisher have released multiple patches designed to make the game more acceptable – from improving the graphics and UI to sorting out bugs. Now, however, the publisher have released what they call “the final major update” for the Steam version of Chrono Trigger, which adds a number of interesting and important features to the port and brings the sad tale to a happy end. You can check out the full Patch Notes on Steam. Perhaps the most important new feature is the ability to change key bindings – which includes mouse, keyboard and partial binding for gamepads. There have been some control tweaks as well, including the common-sense functionality of being able to use the keyboard to type your name in. The other big addition is the Extras Mode, which was available in the PS1 and Nintendo DS versions of Chrono Trigger but not the mobile port. This section is available after completing the game and gives players access to the game’s cutscenes, music, sounds and any of the various endings they’ve unlocked. This and previous patches go a long way to making up for the awful initial release on Steam. We’re proud that Square Enix didn’t just dump the port on PC and run off, instead they’ve worked hard to get it to the point where it’s now an excellent version of one of the best games ever made. A happy ending, for sure. Now then… how about a patch for Nier: Automata or Final Fantasy VI?